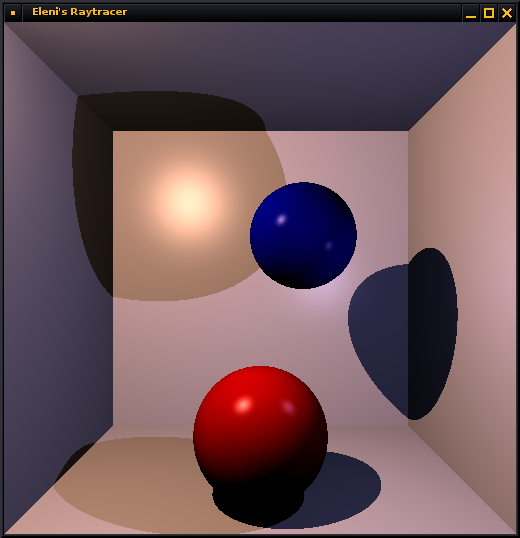 Ray tracer using axis aligned bounding boxes! 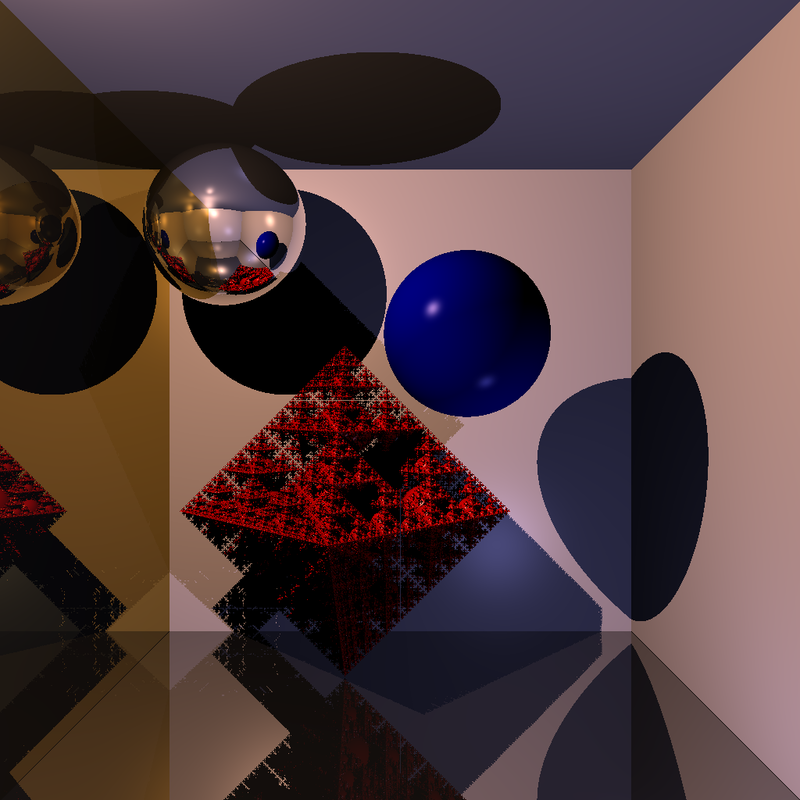 Step 2: Shadows and reflections. Step 3: Shadows. reflections and a sphereflake. 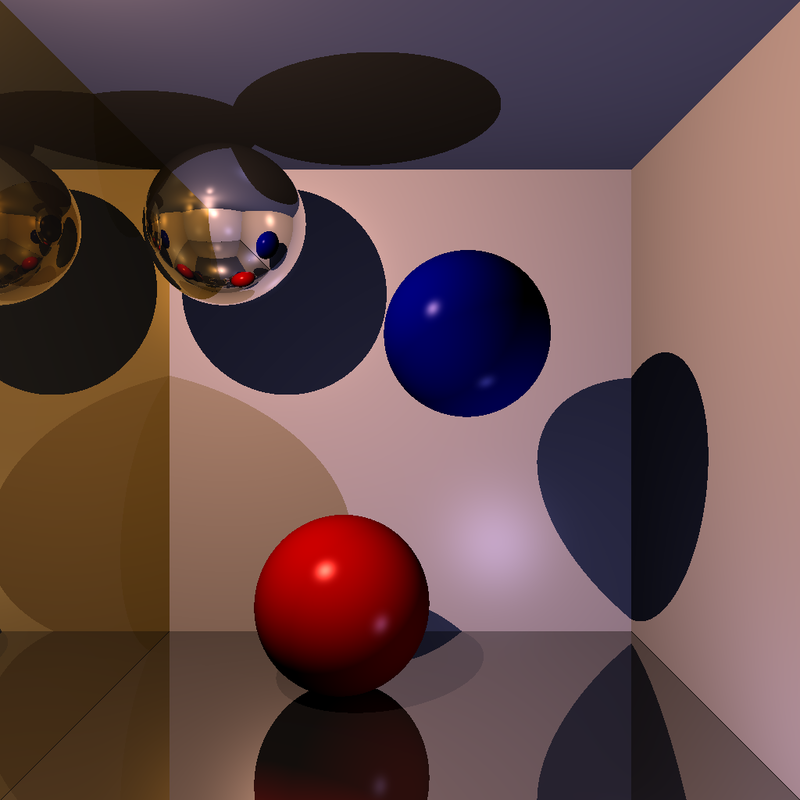 Posted on December 24, 2009 February 7, 2018 Categories CodingTags c++, graphics, ray tracer, sdl, global illumination, MSc, UCL, assignmentLeave a comment on Ray tracer using axis aligned bounding boxes!